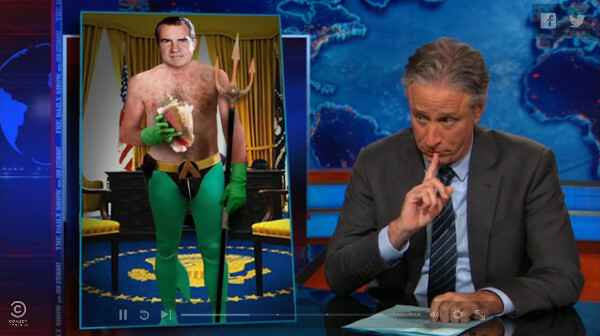 This showed up on April 14th on the Daily Show with Jon Stewart. In the Hulu video, he's at about 6:13 in. Many thanks to correspondent David Oakes for reminding me about this horrible Aqua-sighting.